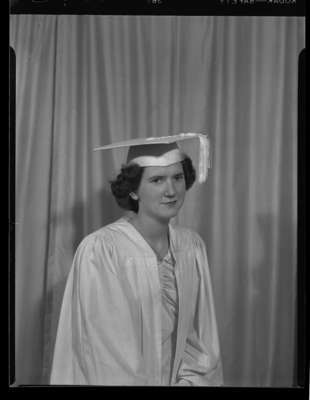 Jenny O'Connor in a white graduation gown, cap and white gloves. Jenny O'Connor (Image 1 of 2), 1948, Marjorie Ruddy. Whitby Archives A2013_040_1233.